Superior Stereo Sound. Adopted CSR8635 built-in chip and Bluetooth 4.1, our headphones provide you with high fidelity stereo music, very fast to pair with your device. Advanced Multi-point Connection Technology. Very fast pairing with other Bluetooth devices and can use two smart phones to connect with our headphone at same time, you can enjoy your favorite music and won’t miss the phone call. Fast Charging And Long Battery Life. Up to 13 hours of playing time, 17 hours talking time and about 250 hours standby time when fully charged. Powerful rechargeable battery with 280Mah large capacity only need 2 hours to charge fully. Comfortable Wearing. Super light weight and soft ear cushions, only weigh 194g and soft ear pads with adjustable headband fit your ears snugly and bring comfy touch around your ears. 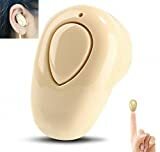 7 months guarantee, if these wireless headsets have any problem, please feel free to contact our Customer Service Team. Friendly customer service and effective solution will be offered in 24 hours when we get your mail. 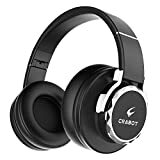 Crabot C2 Bluetooth Headphones. Create a relaxed life, bring oxygen to your ear. Our headphones fit your ears perfectly, ultra soft cushioned earmuffs offer the long-lasting comfort you need for listening to your favorite music. Built-in microphone enables you to take hands-free calls with the versatile power button on the headset. Switch easily between songs and calls with our wireless Bluetooth headphones. Free yourself from wires and connect easily to your devices with easy and stable Bluetooth pairing. Support wired mode by plugging in the included audio cable when the battery is powered off. Fully enjoy your music with up to 13 hours after fully charged. 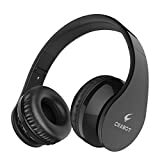 Quality HD Sound Stereo Headphones — With 1 CSR chip and 2 high quality speakers, C5 headphones can deliver wonderful stereo sound with a deep rich bass when you listening music. Multi-point Connection Technology — Can connect to two smart phones simultaneously, you can keep listening and never miss a phone call. Especially fit for business man or music lover. 400Mah Rechargeable Battery With Rapid Charge — Full charge only need about 2H, can be used continuously 20H(at 70% volume), standby time up to 400H, you can enjoy your music freely. Adjustable Arm And Protein Earmuffs — This over ear headphone can fit for nearly all the different size of heads, provide extra comfort to your ears, very comfortable for long time wearing. Warranty — Crabot offer a 60 days money back and 12 months worry-free warranty to each C5 Bluetooth headset, if you have any questions or any problems, please don’t hesitate to contact our customer service. Crabot C5 Bluetooth headphone, make the world hear the wonderful sound. Talking on your smart phone hands-free and control various music functions with the buttons. When you’re watching a movie and a call comes in on your phone. It will pause the video and answer the call. End the call, the movie resumes. The soft protein earmuffs can make you feel comfortable when wearing our headphone. While the built-in 400Mah rechargeable battery provides for up to 24 hours of continuous music playback on a single charge via Bluetooth and can use 3.5mm audio cable plug in when battery runs out(Max ratings at 50% volume). 1.Please make sure the headphone be fully charged for the first time you use it. 2.When use Multi-point connection, please press the Multi-function button and volume down button at the same time to open it. 3.Remove mic mute, please long press volume up and volume down button at the same time for about 2 seconds.